Frederick Douglass changed the course of history with his powerful writing and moving speeches. During his time as a slave, he learned the alphabet, and using that knowledge he taught himself and others to read and write. As an escaped slave, Douglass devoted his life to the abolition movement and even became involved in the movement for women’s rights. 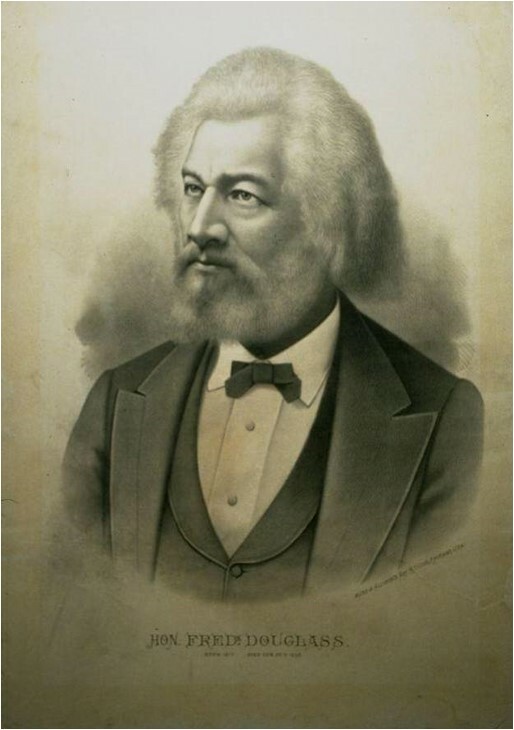 Douglass also published his own newsletter called the North Star and wrote numerous autobiographies. 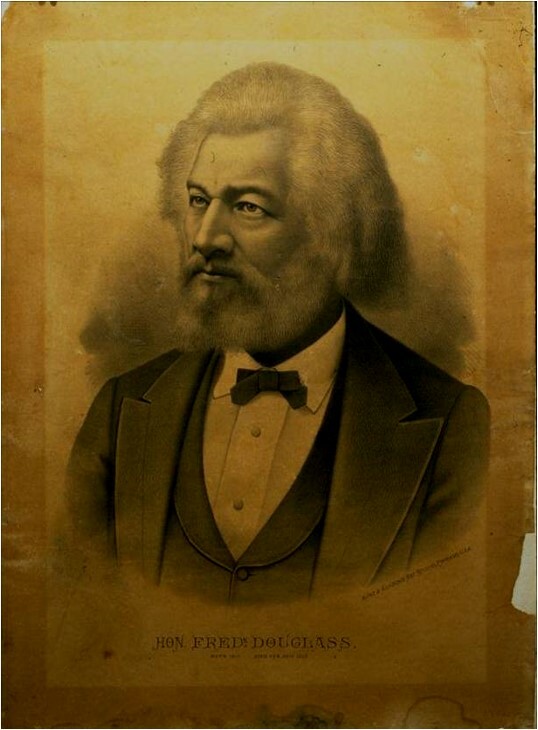 A historical print of Frederick Douglass was sent to The Center exhibiting inherent signs of age, the most notable of which was the print’s overall discoloration. There was a large area of loss in the lower right, along with smaller areas of loss on the top left corner and upper right portion of the print. There were several stains on the piece, particularly along the bottom edge. The Center’s state-of-the-art water wash station. The first step in this print’s treatment was a surface cleaning. Our Paper Conservators carefully reduced surface dirt using eraser crumbs on both sides of the piece. Then, after determining the medium was compatible, the conservators further cleaned the print using a technique called water washing. Water washing is an extremely useful cleaning treatment in paper conservation. In addition to improving appearance of a piece, water washing can also improve the long-term stability of paper by removing water-soluble pollutants and harmful degradation products. Washing in warm water and transitioning to cold water reduced overall staining in the print and helped to relax and strengthen the fibers of the paper. Senior Paper Conservator Bozena Szymanski water washes the print. After water washing, light bleaching solution was carefully applied to the print and taken over to our light bleaching station. Light bleaching is known to be one of the safest and easiest methods to reduce staining and discoloration in paper. Once the print was placed there, mylar was placed on top of the print to ensure it would stay wet and the bank of lights were brought down closer to the piece. The lights were turned on, and after a total of 8 hours under the artificial light and occasional re-washing and re-application of the light bleaching solution, the overall print had lightened from yellow-brown to beige. While the print soaks, Bozena prepares the light bleaching station. The print is then transferred to the light bleaching station. The lights are lowered and the print is left to sit for 8 hours. After the print was fully cleaned and lightened, the conservators addressed the areas of loss. They filled these losses with a Japanese paper of the appropriate thickness, and adhered it using wheat starch paste. These new additions were then toned to match the surrounding areas of the print to blend in. Small weights help flatten any distortions in paper. Lastly, the print was humidified overall and then placed between thick blotters under weight to reduce any distortion of the piece. The print was framed using archival materials, including an acid-free, Coroplast backing board. Now Douglass’ image can hang proudly and inspire generations to come.